I am mesmerized by the peaceful popular uprisings calling for the end of three decades of dictatorial rule in Egypt. Often the news from the Muslim world is depressing. Not today. The impact of this is still unknown. But one thing is unmistakably clear: We are all Egyptians now. The young voices from Egypt fill me with hope and optimism about the future of the Middle East and the Muslim world. In the unlikeliest of places and in the most trying of circumstances, the Egyptians are not just demanding their freedoms but, unbeknownst to them, are helping to shatter several myths along the way. The unforgettable images from Tahrir Square are helping to erase the myth of Muslims and Arabs being apathetic to democracy and docile to authoritarian rule. It is also erasing the lore of the archetypal Muslim male -- conservative and angry -- and the stereotypical Muslim woman -- compliant and veiled. Like any other society, Muslim communities boast a range of voices. Many practicing Muslims favor separation between mosque and state, viewing this as a position closer to normative Islam, while others desire that national laws reflect their religious values, fervent in their belief that such an action is pleasing to God. Along with the Jasmine Revolution of Tunisia, the popular uprising in Egypt is a deathblow to the urban legend that change in Muslim societies can only be brought about by force. For over a decade al-Qaeda and its affiliates have successfully exploited the lack of freedoms and dignity in parts of the Muslim world to foment terrorism, euphemistically calling them martyrdom operations. Overwhelming majorities in Tunisia and Egypt by their actions emphatically rejected the nihilism of al-Qaeda. They instead chose the Gandhian approach of non-violence and peaceful assembly to redress their grievances. This sign of hope must not be extinguished by the intransigence of Hosni Mubarak to step down. Orderly transition cannot be a pretext to extending his iron-fisted rule. Equally impressive is the shattering of yet another myth, often the bedrock assumption behind America's unquestioned support for the Mubaraks and the Abdullahs of the world. For long the Mubaraks and the Abdullahs have sold the notion, and America bought the idea, that choices in the Muslim world are bipolar -- the ruthless dictator or the parochial religious fundamentalist. To most Muslims these are false choices. Like their counterparts in other parts of the world, most Muslims care less about the ideology of their government and more about the services which that government can deliver. Palestinians in Gaza did not choose Hamas for their ideological bent, but rather they voted Fatah out for failing to deliver basic services to the people. Many Turks may not agree with the socio-religious views of their conservative prime minister, but time and again they back his party at the polls because they deliver on their promises of good governance. The young voices in Tahrir Square showed that in a few days of freedom they have earned a lifetime of wisdom. Even when angry at Israel's treatment of Palestinians they did not want their new government to walk away from Egypt's peace treaty with Israel. While remaining skeptical about the motives of the Muslim Brotherhood, they welcomed diverse voices in the new Egypt. Their disappointments over American foreign policy did not make them break out into anti-American chants. When the state apparatus failed to protect innocent civilians from looters and thugs, youths acted in an impromptu fashion to protect the dignity of their families and their communities. Egyptians and Tunisians have best exemplified the slogan "Yes, we can." Standing at the edge of a new dawn, one cannot help but be hopeful. But this euphoria of hope should not detract attention from a basic fact -- democracy is a process, not an outcome. The process requires engagement and vigilance. Removing a dictatorial regime is not enough, for democracy is not merely the rule of the majority but also necessitates the protection of minority rights and voices. In my visits to Egypt I have always been impressed by the sense of civilizational pride that ordinary citizens expressed, from college campuses to coffee shops. Egyptians now have a chance to put their pride in their long legacy of monumental civilizational achievements to good use. Watching from afar, we may not be able to help much, but at the very least we can pray that the extraordinary sacrifices of the most ordinary amongst us is not wasted. Rather, it serves as a powerful motivator to truly usher in a new era of peace and healing to one of the most troubled regions of the world. 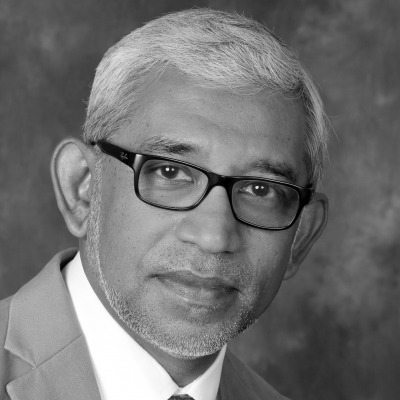 Professor Parvez Ahmed is a Fulbright scholar and associate professor of finance at the University of North Florida. This article first appeared on Turkey's Today's Zaman.